fixbags established in 2011. Fixed gear scene growed up big in indonesia, at the first were made to complies the big demand of domestic market for multifunction bags. But now fixbags are growing as brand which competent with another product in the domestic or international market. Fixbags can be use in various activitity by not bounded with anything. We can go anywhere, air, land, water even space.. Anyone can stop you! 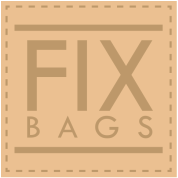 Fixbags its made by best quality, we use the best material, best stiching, and also we made with pride. Fixbags design its all about active, dinamic, and inovation. Every product that we made it has a function. If the product its not have a function, absolutly it’s not fixbags. If your personality being active, dinamic and inovation, so fixbags its your choice!